Across industries, women-led businesses are addressing some of society's biggest problems and creating impact the world over. 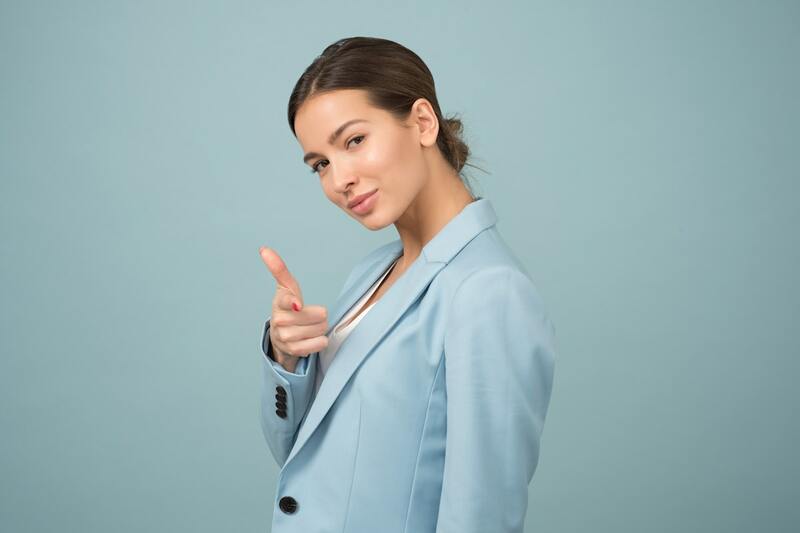 In 2018, in co-publication BCG, we released report about woman-founded startups out perfoming startups founded by men, though investment from VC companies greatly favors men. With our 2019 Application Season just wrapping for many of our programs, we wanted to spotlight 6 unique women we found particularly inspiring from recent MassChallenge programs. They share a bit of their experience with their accelerator and their particular background. 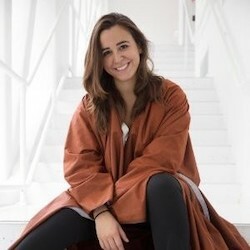 Angela Luna is the founder and CEO of ADIFF, a humanitarian fashion startup that provides aid for global displacement. Why did you apply to MC? I needed help turning my idea and collection into a viable business. Coming from a background in design, I knew absolutely nothing about starting and running a business. I got somewhat of a crash course from just trying to get things moving, but I realized that I needed to learn more and gather right network in order to push forward (and of course there's no time for grad school!). Also, I was starting to meet with VCs and needed to figure out how to pitch, what they were looking for, and what was necessary to secure an investment. What's your personal motto or quote that keeps you pushing ahead? "If not you, then who? If not now, then when?" Since I can remember, I knew I was going to be a fashion designer. I had always dreamt of having my own line but my dream was completely different from what I'm doing now. I feel like having your own label as a designer is very ego-centric, whereas with ADIFF, it's not about me and I don't want it to be. After work, where can we find you? Either networking over drinks or at the gym! My anxiety levels have been through the roof and the only way to turn it down is to run on the elliptical for an hour. What do you do every morning to start your day on the right track? Favorite place to eat in Boston? I worked at Legal Sea Foods for 2 years during breaks in college and to this day I still love their lobster rolls. How many cups of coffee get you through a day? Actually none! Coffee makes me jittery and feel like body can't keep up with my head - I have a super low tolerance for caffeine. I'd prefer to do several 2-3 minute breathing exercises during the day. I really find inspiration in problems. I'm always looking for ways to improve things. 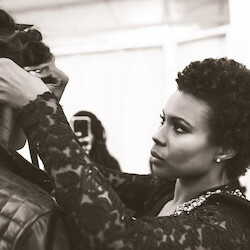 Joelle Fontaineis the founder and CEO of I Am Krol, a high-end women's fashion brand using fashion as a catalyst for change. Creating a movement focused on empowering women to be their best selves, every purchase supports poor and disenfranchised women in the U.S. and eventually Joelles homeland of Haiti. 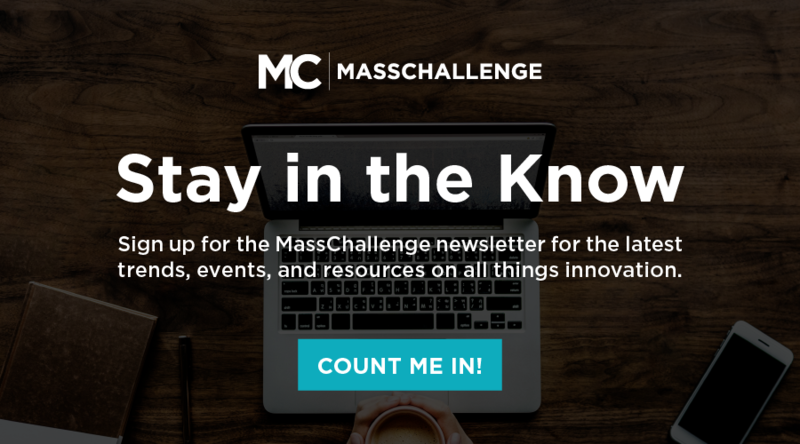 I applied to MassChallenge because I understood it to be the best of the best as it pertained to accelerator programs. I wanted to reach the next level in my business and be surrounded by people who would challenge me to be my best. It has been a tremendous experience to have such great mentors and so many resources at our fingertips. Honored to have been chosen to be here. "In the end, I win." This has been my way to push through any obstacle because I already know the end goal so I'm not tainted by what it may look like today. I have not been blessed with these dreams and talents just to try and fail. I am here to succeed, not just for myself but for those around me - for the women that I will impact through my business. So, when the journey seems impossible and I am tired (both physically and mentally), I remember the end goal and that keeps me going. I don't dwell in the moment. I'm fighting to win the war. When I was a child I wanted to be an architect, a creator of sorts. I wanted to run a huge firm, with an office overlooking the entire city and have my designs all over the world. I did not become a building architect per se, but I'd like to think that I became an architect of great artistry through fashion. I also believe that we are right in line to having that office with an amazing skyline and I Am Krol designs all over the world. I am usually with my son eating a good meal or at the ICA. It's my favorite place to hide out and lose myself in some art. Every morning before I start my day, I pray and meditate and go for a run to clear my head. As an entrepreneur and a mom, I am often overloaded with juggling too much. I need to be in a good space spiritually in order to be able to maintain my peace in the chaos and tackle everything with a clear mind. My favorite place to eat in Boston is Genki Ya in the theater district. They have the best sushi. I don't drink coffee, but I have about eight cups of tea per day - lemon ginger or peppermint. I am inspired by nature and believe it or not - Home Depot. I know that sounds strange, but I love the nuances and colors in piping and paints, nuts and bolts. I am always building embellishments out of non-traditional items. I think it's the architect in me that naturally gravitates toward structural items for the shape and functionality. Nature allows me to lose myself, which then brings me to a place of freedom and creativity. I do my best design work after a long walk in the woods or watching the sunset. Courtney Wilson is the founder & CEO of DropZone for Veterans. 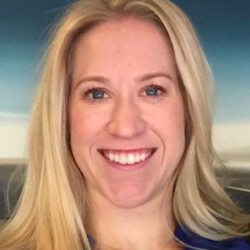 As a female combat veteran, Courtney launched the digital platform to match the military community to personalized and high-impact resources, benefits, and opportunities. Two fellow Babson alumnae were in previous cohorts (Emily Levy, CEO of Mighty Well and Joanna Geisinger of TORq Interface) and not only did they rave about the program experience, but seeing the impact it had on their business made me really see what an amazing opportunity it was. On my couch with my puppy and boyfriend watching Top Chef and being waaaayy too judgey for someone who is a terrible cook! 5am Orange Theory fitness class. The Chipyard. Yes, it is a cookie shop; no I am not ashamed. Free Red Bulls are my jam. My fellow Wellesley women or female veterans. 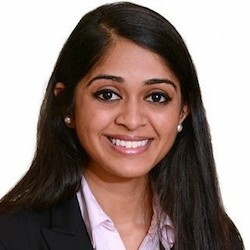 Priya Shankar is the Founder and CEO of Girls Health Champions, which works to mitigate gender inequality and its impact on health outcomes. By creating a network of peer health educators at school and in the broader community, the organization helps prevent many health-related challenges adolescent girls around the world face, including inadequate nutrition and anemia, menstruation-related taboos, mental illness, gender-based violence, teen pregnancy, and more. I applied to MC, along with my co-founder Ricky Sharma, for the opportunity to work with the amazing network of mentors, to develop our business plan, critically analyze our model, and evaluate our impact! So far, MC has been amazing in all respects and given us access to an outstanding network of mentors, supportive colleagues, and a space for our team to continue the momentum. This summer, we expanded to many more schools in India and have continued to build out our team. Every day is an opportunity to improve yourself and improve the world. When I was very young, I always wanted to become a ballerina and a doctor. I managed to do one of these, by becoming a pediatrician. I've been an Indian classical dancer since the age of five and I've continued to do that for many years; it's something I truly enjoy. At around 13 or 14 years old, I remember talking to my mom about wanting to find a way to fight for the rights of children. And it has been really wonderful to be able to work on achieving that dream many years later through GHC. At home with my husband watching TV, reading a book, or catching up on sleep! I listen to a short prayer when I wake up every morning. I also make sure I have my tea in hand, without which my day will not be the same! While I am walking to work, I try to remind myself to try to be the best person I can be, to remember that the day might be harder day for someone else than it is for me, and that it is important to display kindness to others. Addis Red Sea - Ethiopian food is my all-time favorite. 0 to 1 cups. I am a huge fan of chai! I get tremendous inspiration from our Champions. I often wonder if at their age I would have been brave enough, or done as good of a job as them in teaching and leading the change. Many of our Champions have incredible poise and grace when dealing with sensitive subjects. Some of them are brave enough to speak about stigmatized and taboo issues such as depression, reproductive health, or the spectrum of gender expression and identity with their communities. Seeing our Champions in action has been one of the most uplifting and inspirational aspects of my work and life! When I can visibly see the impact our Champions are making, I feel inspired to keep working at bringing Girls Health Champions to as many schools around the world as we can. 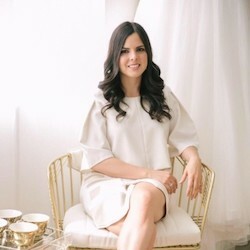 Estefy Santoscoy is the Founder and CEO of Etiquette, the first online store that connects brides in a sharing economy. Hoping to make dreams come true, the sales and rental platform sources high-end designer wedding dresses and offers them to women for up to 70% off the initial price. I used to work forEstrenon, a 2015 MassChallenge alum and $100,000 winner. After that, I knew I wanted to be an entrepreneur. Whats your personal motto or quote that keeps you pushing ahead? Make each obstacle a step. I wanted to be a systems engineer. You can find me with my Spanish friends on Newbury Street! On the bus, I listen to How Far Ill Go from the movie Moana. Mother Juice on Newbury Street. I find inspiration from sharing love and advice from others and hearing testimonies from so many people that are already successful. 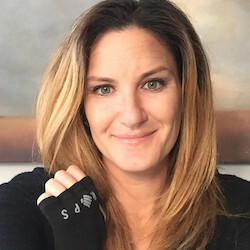 Lauren Siegalis the founder and CEO of PROPS Athletics, which creates unique lines of athletic products that are all about fitness, fashion, and function. Born out of the desire to work harder, PROPS Athletics enables active souls to get the most out of every workout by incorporating a silicone grip that prevents sliding on any surface, protects against calluses, and minimizes germ transfer without any added bulk. I start the day off by practicing gratitude and drinking a cup of warm water and lemon. JP licks ... I have a soft spot for ice cream. I actually don't drink coffee! Walking around and enjoying nature always clears my head.